Vocals tell the story that make the all-important connection between singer and listener, but recording a vocal isn't as simple as just putting a mic in front of someone and hoping for the best. 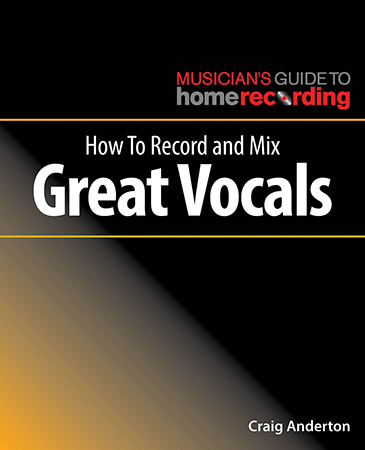 This book - written in a clear, practical, non-intimidating style – covers all aspects of creating great vocals including: How to choose the right mic, Mic placement, Microphone accessories like cables and pop filters, Mic preamps, How to take maximum advantage of composite recording, Editing vocals digitally to prepare them for the best possible mix, Using processors (such as equalization, dynamics, and time-based effects) during mixdown to enhance vocal quality, Automation, Techniques for layered vocals, and more However, what makes this book truly special is that it goes beyond technology to include valuable tips and techniques on how to obtain the best vocal performances. Topics include how to connect with listeners, ways to convey a singer's personality, "emotional" dynamic range, and how to know when a take is the right take. Loaded with illustrations and featuring the judicious use of sidebars to give details on selected topics for those who want to know "why" as well as "how," How to Record Great Vocals is the key to transforming raw vocals into satisfying, emotional experiences.